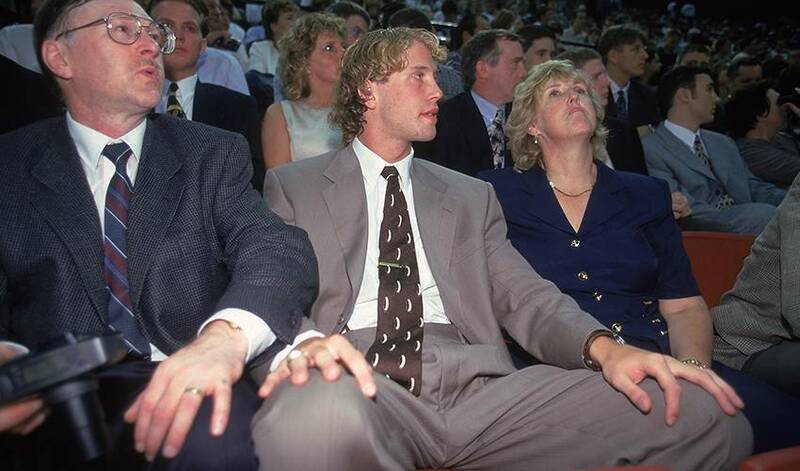 Joe Thornton’s career is going strong in his 21st pro season – and so are his parents. 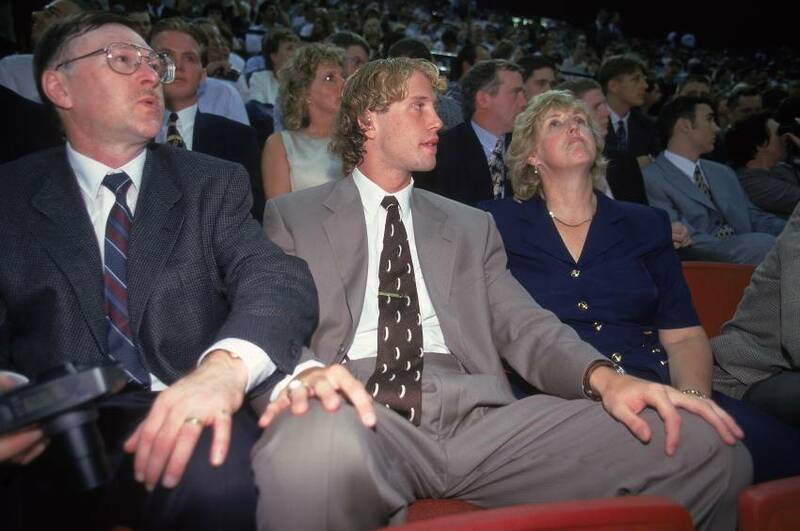 Joe Thornton’s career is going strong in his 21st pro season – and so are his parents, who have been alongside the San Jose Sharks veteran centre for almost every step of the way. That’s right, Mary and Wayne Thornton often pull their car out of the driveway of their St. Thomas, Ontario, home and make trips to Detroit, Buffalo, Toronto, Ottawa, Montreal, Pittsburgh, St. Louis, Chicago, Columbus – wherever they feel it’s not too far to drive. Sometimes they travel to San Jose for an extended stay, especially at Christmas time. The long drives, the excitement of watching Joe play, never gets old for Mary and Wayne. “Oh my goodness,” Mary said. “Why wouldn’t we want to keep travelling, keep watching Joe play? He’s our son. We have three boys [with Alex and John] and we want to share everything they do. As the Johnny Cash song goes, “I’ve been everywhere, man,” well, so have the Thorntons. It began when Joe was a youngster playing minor hockey in St. Thomas and has continued right up to a recent Sharks road trip when there were Mary and Wayne in Buffalo one night and in Toronto the next evening. They would have continued on for weekend games in Ottawa and Montreal, but Mary was under the weather. She reports, however, she’s on the mend and soon Jumbo Joe’s parents will be back on the road. Last month, when Thornton became just the 19th player in league history to skate in his 1,500th career game his parents flew to Dallas to be there. On the rare occasion Mary and Wayne could not be live and in person, they would stay home to watch games on television. Wayne loves to chop wood. He would make a fire. The two of them would stay up and watch the game in the living room even if puck drop wasn’t until 10:40 p.m. – St. Thomas time. The Thorntons have also been there for their son’s success with Team Canada on the international scene. There was the gold-medal effort at the 1997 world junior tournament in Geneva. There have been trips to world championships in 2001 and 2005. Alex and John also were there in Austria for the latter World Championship. There have been World Cup of Hockey titles in 2004 and again 12 years later in Toronto. There was the disappointment of Canada’s performance at the 2006 Olympics in Turin, Italy and the gold-medal sweetness of Vancouver 2010. “We took one of Joe’s grandmother’s with us to Italy,” Mary said. “That may have been our worst experience because of how they played. But we spent three weeks in Vancouver and that was such an enjoyable experience." Mary and Wayne also visited Joe in Davos, Switzerland, where he played during the 2004-05 owners' lockout-cancelled season. Joe also met his wife Tabea in Davos, winning the prestigious Spengler Cup and the Swiss league championship. The following season Joe was traded by the Boston Bruins to the Sharks. He won the Art Ross Trophy as the league’s leading scorer and the Hart Trophy as the player most valuable to his team in 2005-06. Wayne felt the trade suited his son just fine because the California lifestyle fit Joe’s cool and calm personality. The Thorntons have been there for the good times and bad, like when the Sharks finally advanced to the 2015 Stanley Cup Final, only to be beaten by Sidney Crosby and the Pittsburgh Penguins. Now, here is Thornton, still playing well with the contending Sharks despite two recent knee surgeries. He became the 11th player in league history to score 400 goals and 1,000 assists. With the exception of Jaromir Jagr, who isn’t eligible yet for the Hockey Hall of Fames, the other nine — Wayne Gretzky, Mark Messier, Gordie Howe, Ron Francis, Marcel Dionne, Steve Yzerman, Mario Lemieux, Joe Sakic and Raymond Bourque — are in the HHOF. Jumbo Joe will join them one day and you know Mary and Wayne will be there. Which five current NHL stars have the golden touch when it comes to putting up the points in the Stanley Cup Playoffs? He isn't sporting the “C” or “A” on his sweater for this tournament, but Joe Thornton's veteran presence and outstanding career are assets Team Canada couldn't pass up on. How a collegiate career with the University of Maine Black Bears set Nyquist on course towards a prosperous NHL career. Joe Pavelski capped off a seven-point week to co-lead the league in overall scoring with his fifth NHL career hat trick as part of a Sunday night rally win for the San Jose Sharks. Sergeant Richard Silva’s story was admittedly moving for Brent Burns, NHLPA member and defenceman for the San Jose Sharks – who takes every opportunity to show respect and give back to the military. The defenceman skated in 783 regular-season NHL games.